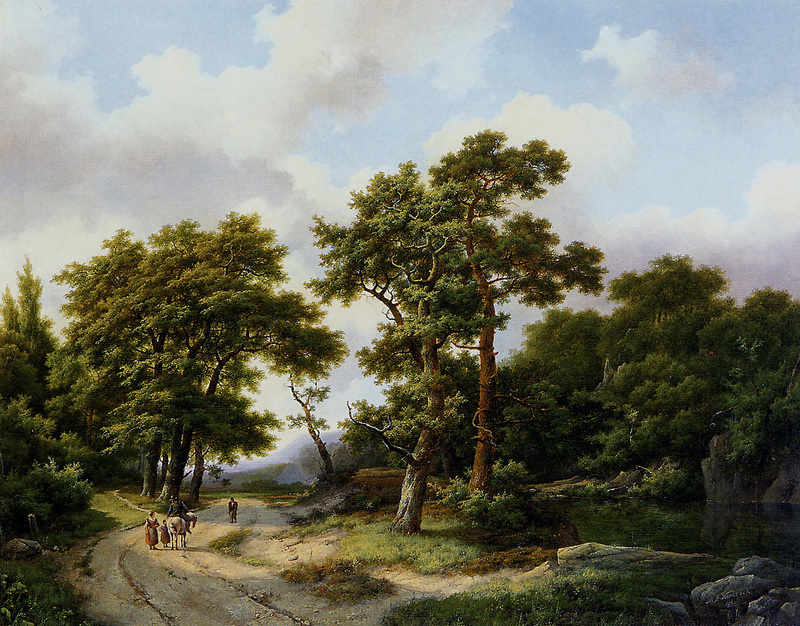 Marinus Adrianus Koekkoek – private collection. 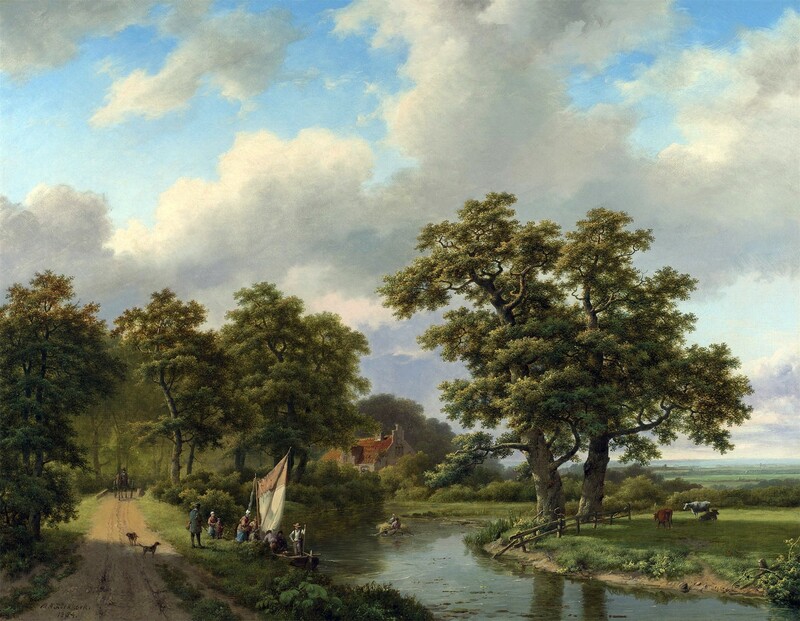 Title: Travellers Near the Wylermeer, Beek.. Date: 1838. Materials: oil on canvas. Dimensions: 70 x 84 cm. 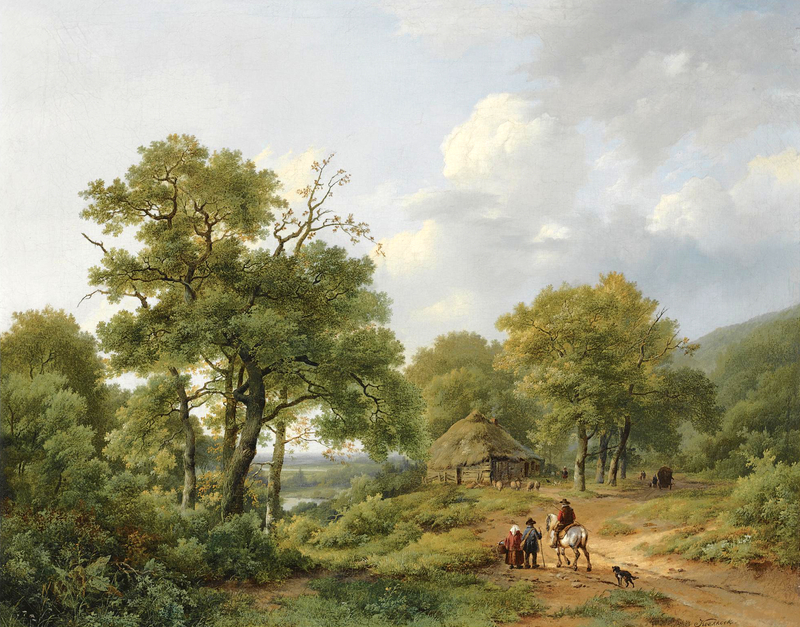 Auctioned by Sotheby’s in Amsterdam, on October 15, 2008. Source: http://www.sothebys.com/content/dam/stb/lots/AM1/AM1055/AM1055-42-lr-1.jpg. I have changed the light and contrast of the original photo. Materials: oil on canvas. Dimensions: 67 x 83 cm. 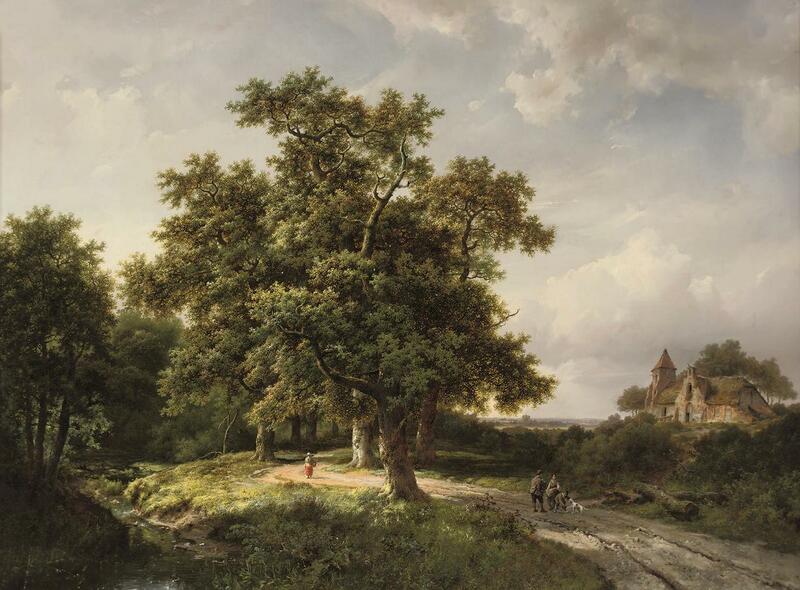 Sold by Christie’s (Amsterdam) on May 6, 2009 (sale 2820, lot 144). Source: arthistoryreference.com/004/la/709.jpg. P.S. I have changed the light, colors and contrast of the original photo. Materials: oil on canvas. Dimensions: 78 x 105.3 cm. Inscriptions: M.A.Koekkoek.1857 (lower right). 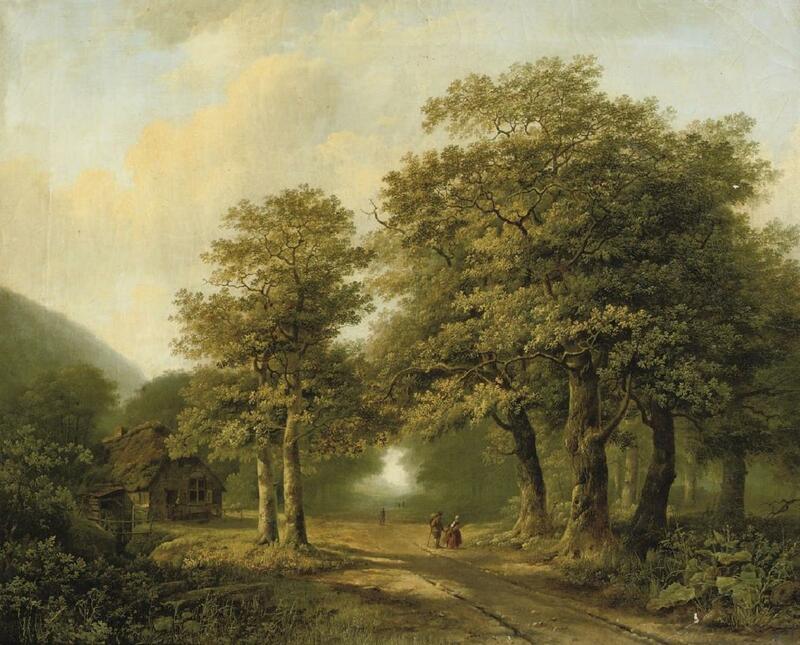 Sold by Christie’s (London) on January 21, 2009 (sale 7625, lot 41). Source: arthistoryreference.com/004/la/702.jpg.